Doughnuts, donuts. Whatever you want to call them, I go nuts for these holey treats. 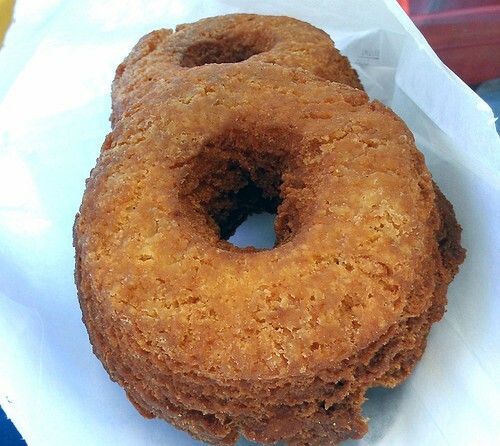 Since I'm writing about Whoo's Donuts in Santa Fe, NM, today, though, I'll stick with "donuts" for this post (if you want to explore the subject more, look here). 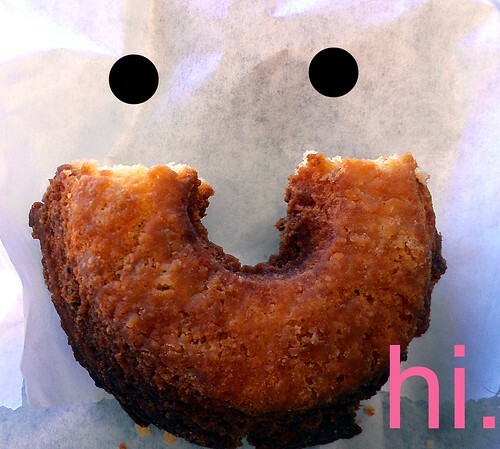 If at first you donut succeed, fry, fry again. 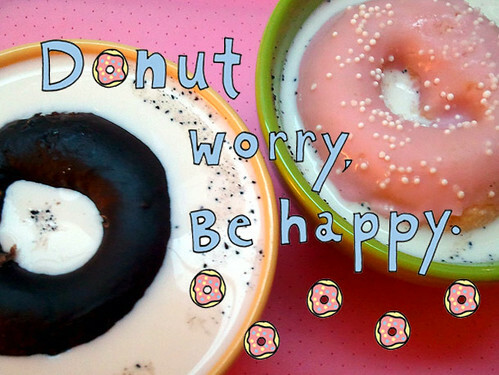 Donut stop thinking about tomorrow. 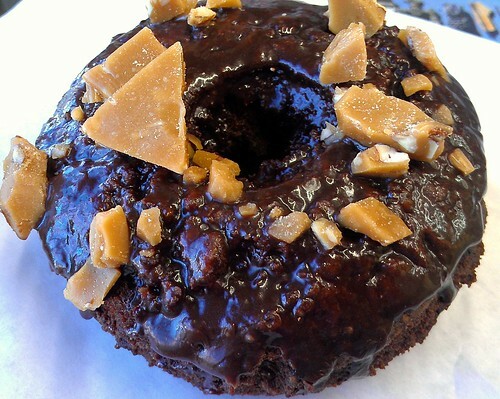 Damned if you do and damned if you donut. So. 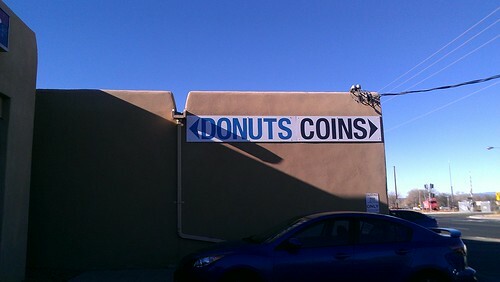 This is all to say, I am a lover of donuts, and as such, donut doubt my authority on telling you where to get a good one. And to start with the classics, they have a very good donut baseline. 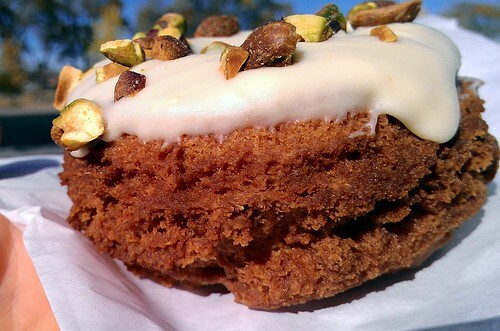 Especially, in this Spy's opinion, on the cake donut front. 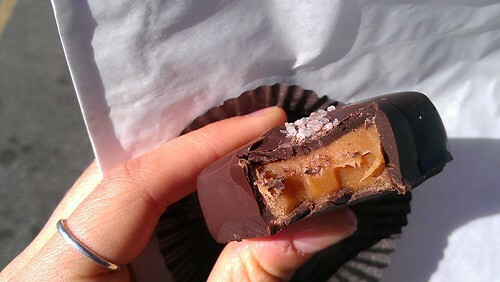 The crispy edge that they somehow attain is absolutely fantasic, lightly crunchy and giving way to a soft, cakey interior. If you get a bit of that crispy edge in every bite, you're feeling like a holey roller. 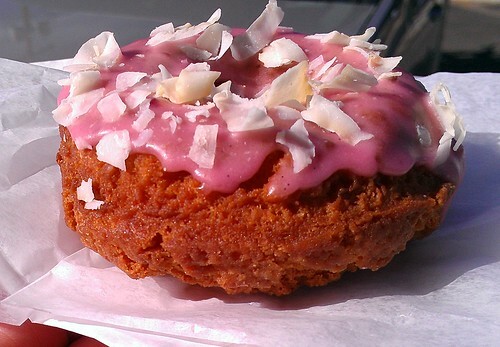 I have also tried the Cherry coconut donut, which is sublime. The cherry flavoring adds a little zest to the doughnut, and the fat flakes of toasty coconut on top add a pleasant crunch and a pleasing richness. 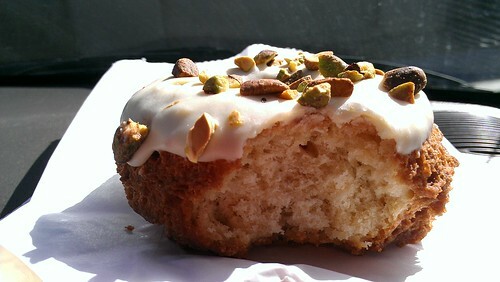 But my favorite treat from Whoo's so far has been the Lemon Pistachio White Chocolate donut. Something about the sweetness of the white chocolate with a hint of lemon zest, complemented by the salty pistachio bits just makes me wish this was a donut I could curl up in and live inside for a while. It is just so good. and filled donuts (Key Lime! Caramel-filled!) and the requisite bacon variety. 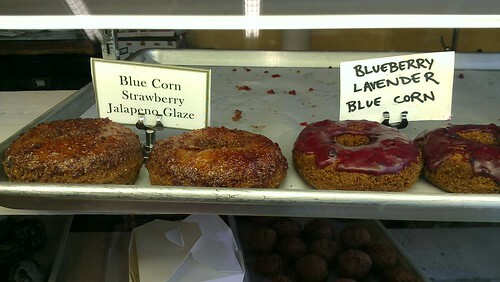 But next on my list to try is the Blue Corn donuts! 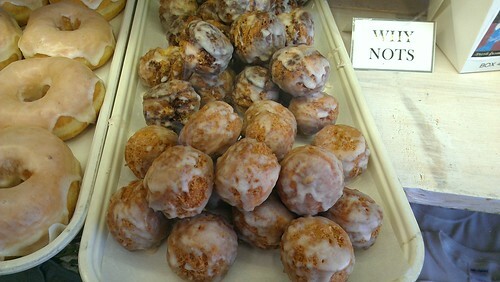 Whoo's Donuts, 851-B Cerrillos Drive, Santa Fe NM; online here.